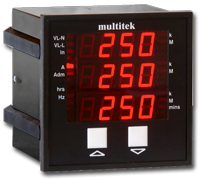 PC&S offers a large inventory of digital panel meters with limitless applications for both AC and DC input parameters. These low-cost solutions provide you with a wide range of monitoring and control applications measuring volts, amps, process, strain. 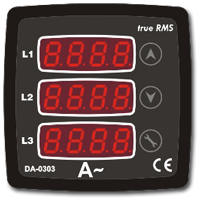 True RMS volt, amp and frequency units are also available. Choose from bright LED scalable displays in green or red, DIN style cases for fast and simple installation, worldwide input power configurations, fast response with exceptional accuracy. PC&S digital meters also offer communications options for RS-232 and RS-485 and digital meters with dual set-point options for alarm and control. Let the experts at PC&S help you select the best unit for your next application!